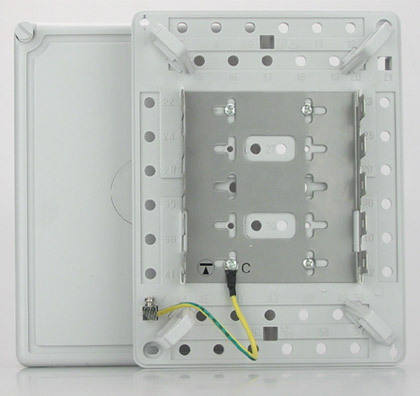 Ready-made connection boxes offering a range of low-profile to high-density termination of cables in plastic housings with all the cable-anchoring and cable-entry requirements catered for. Larger boxes can be mounted together. Knock-out sections in the lids permit concealed interconnection of jumpers whilst retaining a neat appearance. A low-profile connection box containing two TUK 237A-S disconnection modules (20 pairs), earth strip, base and lid. Ideal for termination of cables in studios, intercoms, star points etc.170mm x 120mm x 43mm. 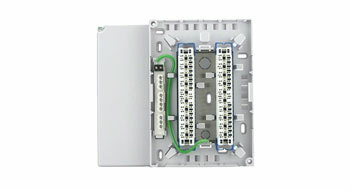 This is a larger termination case to accept five ABS/237 size modules (not supplied). 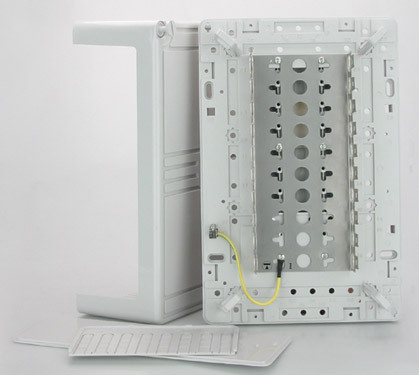 The lid has removable side panels and knock outs for side by side mounting. The base is fitted with a screw-terminal earth post and is fitted with jumper rings. 160mm x 210mm x 90mm. 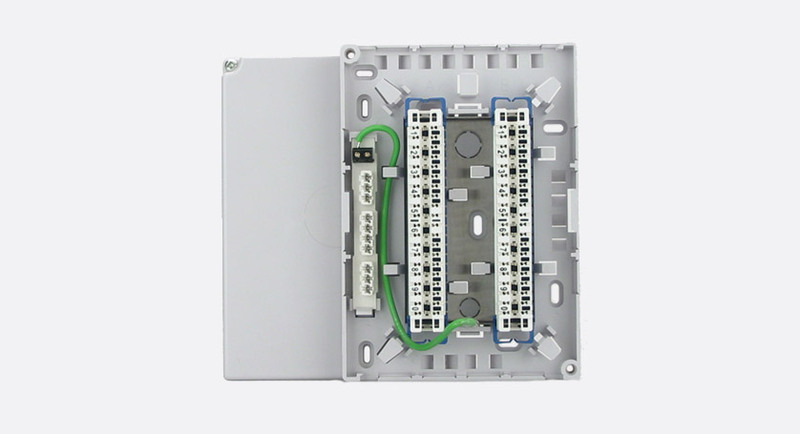 This offers larger capacity termination, with a back mounting frame to accept 10 ABS/237 size modules (not supplied) and screw terminal earth post and jumper rings. The quick-release screw lid has knock out sections for joining several boxes together. Suitable for termination of cables and equipment tails on walls, consoles or in areas where 19 ”rack space is not appropriate. 320mm x 210mm x 120mm.